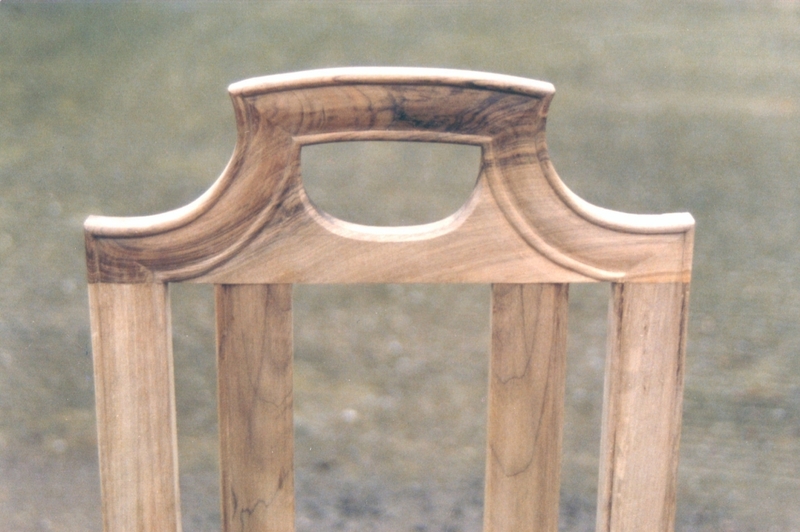 You can also read about the making of this chair by clicking the link below. 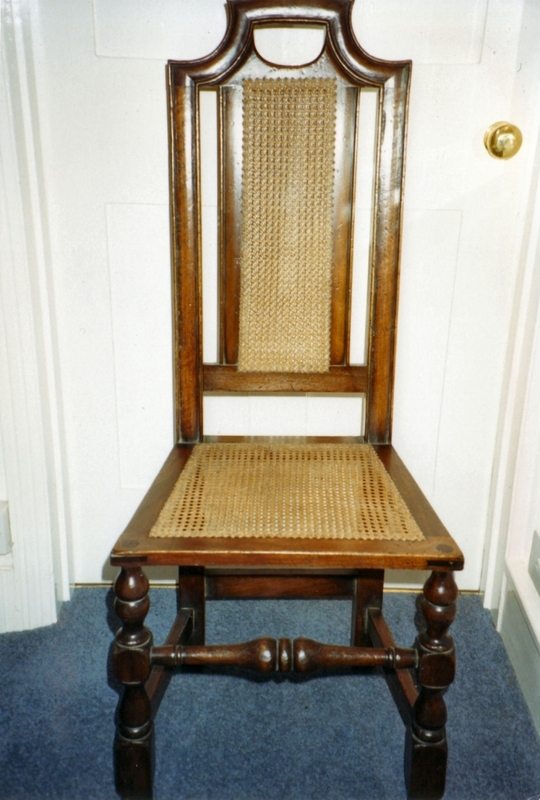 Cushion moulding was a popular feature of the 17th and early 18th centuries. 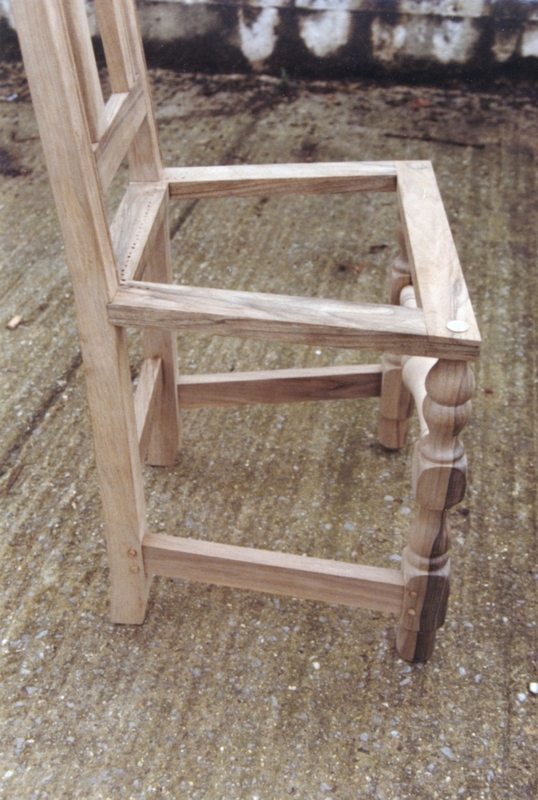 Simple turned front legs and unadorned back legs. 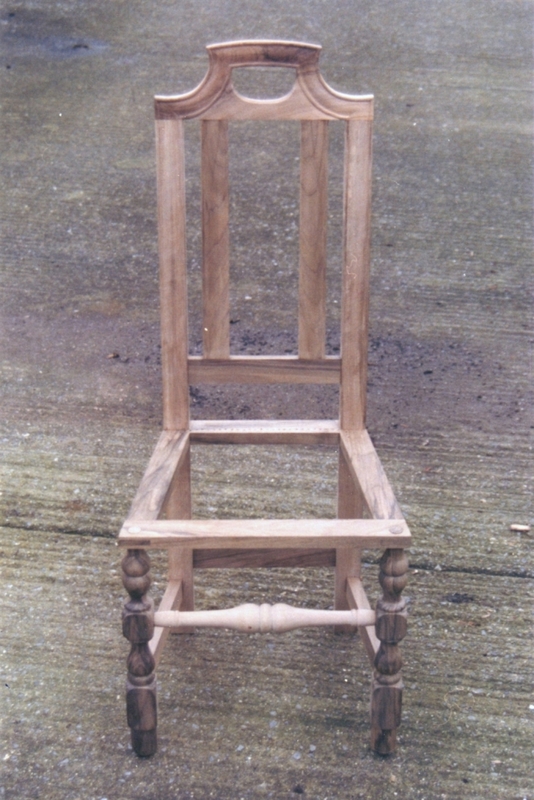 The finished chair, aged and caned.